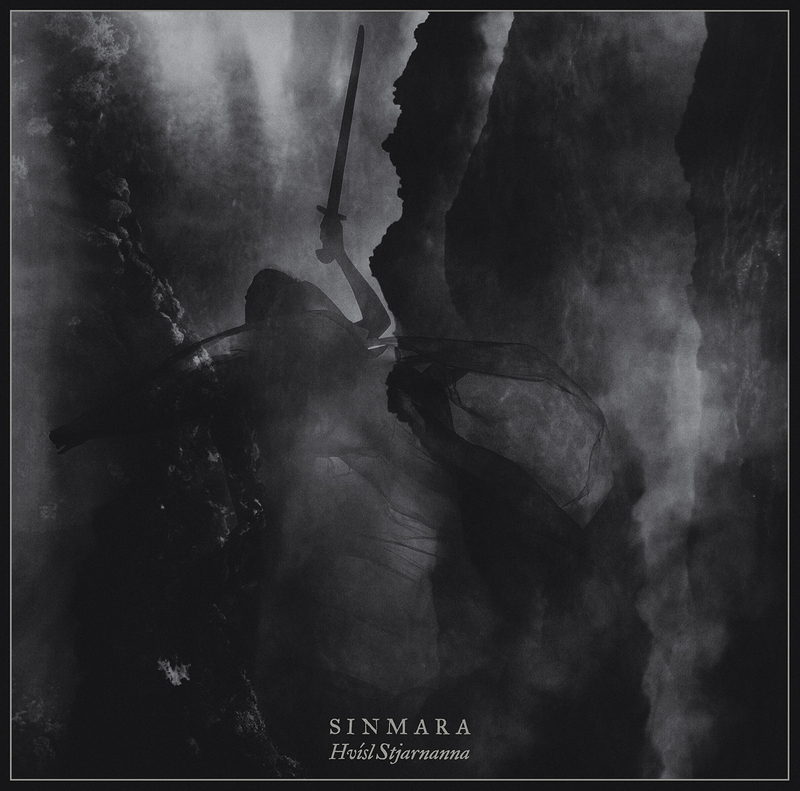 Van Records always bring the goods and with Sinmara's sophomore release it feels like they have gone even above and beyond their normally very high bar of quality. This is truly potent and thrilling black metal ,the sound of overwhelming and powerful black metal slaughter, the sound of a world coming to die and the endless triumph that is brought with the majesty of true black metal. This Icelandic horde are masters of their craft and seem ready, now more than ever, to set the world on fire. Coming blazing from the first with their brash and over the top assault this is the sort of wonderfully intense black metal that made so many of us fall in love with the genre. yet Hvisl Stjarnanna is more than just blasting. It's a record that deals in heady atmospheres and dark vibes. It will fascinate you and keep you mesmerized as it crafts bleak soundworlds around you. The overwhelming power of this record is blatantly obvious on tracks like Ur Kaleik Martrada which seems to be a sort of swaggering proof that Sinmara are among the best in the business. With touches of melody invading hyperborian soundscapes it's hard not to fall in love. The perfect soundtrack to a bitter winter storm, the butterfly drum beats reflect the sound of unrelenting blizzards. The high powered guitars invoke the ferocity of the wind and the tormented vocals, seemingly borne straight form hell are reminsicent of natures dark power. This is a record orbiting around themes of sirens, ghosts and dark spirits coming from the otherworld. It delves into antediluvian realities in order to paint a sort of tormented sonic punishment from which there is no escape.